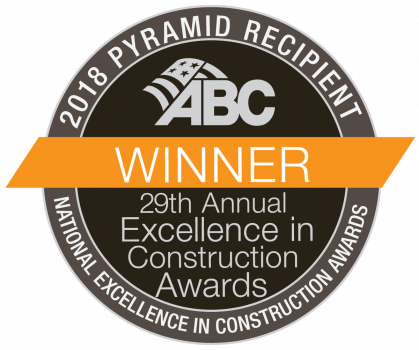 Broomfield, CO — MWH Constructors’ work on the Fremont Water Pollution Control Center Improvements Project in Fremont, Ohio has earned a National Excellence in Construction® Pyramid Award from Associated Builders and Contractors in the General Contractor – Public Works/Environmental Category. Representatives from the company received the award March 27 during ABC’s 29th annual Excellence in Construction® Awards gala at ABC Convention 2019 in Long Beach, California. This award-winning $63.5 million CMAR project included upgrading and expanding the existing wastewater collection system, which was originally built in 1949. The system is a combined sewer overflow that conveys dry weather flow to the wastewater plant at approximately 6 million gallons per day (mgd). The reason for the renovation is to increase the capacity of the Wastewater Treatment Facility from 10 million gallons per day to 24 million gallons per day.